The best Marvel comic book film falls just short of telling a complete story. Easily the best of the Marvel superhero films, Captain America: Winter Soldier delivers unique and exciting action sequences while just barely maintaining some semblance of a meaningful structure. The pieces are there for a complete story, and they unravel the way they should, but the argument tends to give way towards the end to action. For a film based on a comic book this should not be seen as a detriment, but rather as an opportunity to learn how to improve what is already a great film. Main Character Steve Rogers is a man stuck out of time. For a character dealing with these issues of what was, what is now and what will be, the Dramatica theory of story classifies the domain of his personal narrative to be a Situation. Diametrically opposed to Steve is the triumvate of possible Influence Characters: the Black Widow, Nick Fury and the Winter Soldier himself. The question is do these three represent some sort of shared perspective in a hand-off situation? The first two candidates share the same fixed belief about secrecy and doggedly pursuing covert operations at all costs. Yet, it is the third that carries the emotional weight of the story—the essential component of the Relationship Throughline. The argument over what is right and wrong to do in these circumstances dies out when the Winter Soldier arrives; the Black Widow and Fury fade into story obscurity. Sure they’re engaged in the action, but that philosophical argument all but disappears. The relationship with Bucky feels right, but it starts so late that the first half comes off cold and uninviting. The relationship between Steve/Natasha and Steve/Fury feels less heartfelt and more logistical—bordering on commentary towards the Overall Story Throughline surrounding Price and Project Insight instead of something closer to the heart. The result is a muddled argument that starts and stops then ends with an emotional wallop. It feels great to see the Winter Soldier rescue Cap and drag him to shore, but we’re not really sure what that means in terms of the larger argument. It’s the right emotional beat, but comes at the end of an undeveloped and malnourished Throughline. 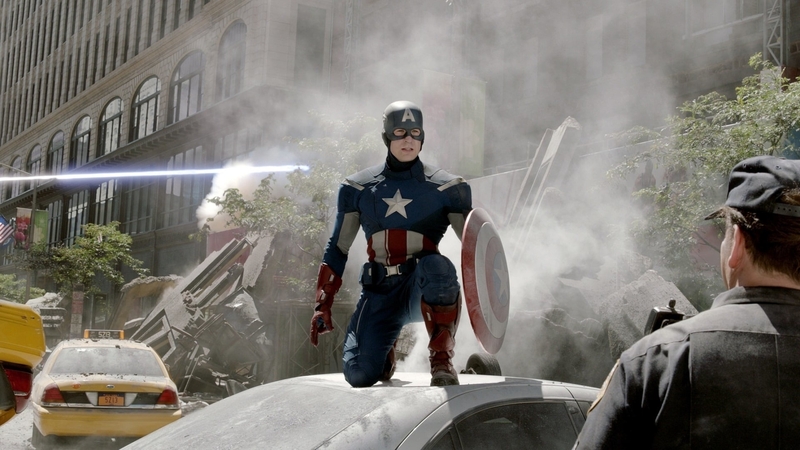 Captain America: Winter Soldier satisfies fans of comic book movies and almost does the same for those of us who desire complete and compelling storytelling. Bringing in the emotional relationship between Steve and Bucky earlier in the story would have solved most of this, as would continuing to carry out the argument between secrecy and exposure explored through the Black Widow and Fury. Overall the film is a blast and this analysis should not be seen as a harsh critique of the film. There is so much here that is right that it would be wrong not to say otherwise. This film should be the standard by which other comic book movies adhere to; with a few tweaks and development here and there it could be the standard by which all films adhere to.